A great place to call Home! High ceilings & striking wood floors welcome you inside this stylish, relaxed home. 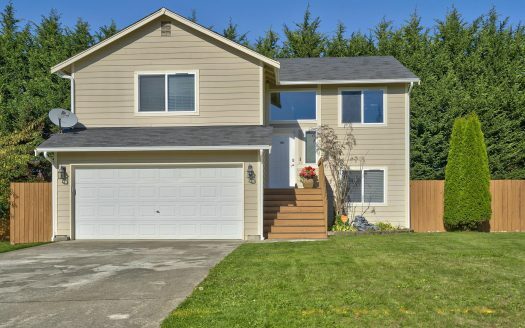 Sharply finished & move in ready, it has formal living & dining areas, a terrific kitchen, quartz counters, stainless appliances, family room plus an en-suite master.